Only a short distance from you. 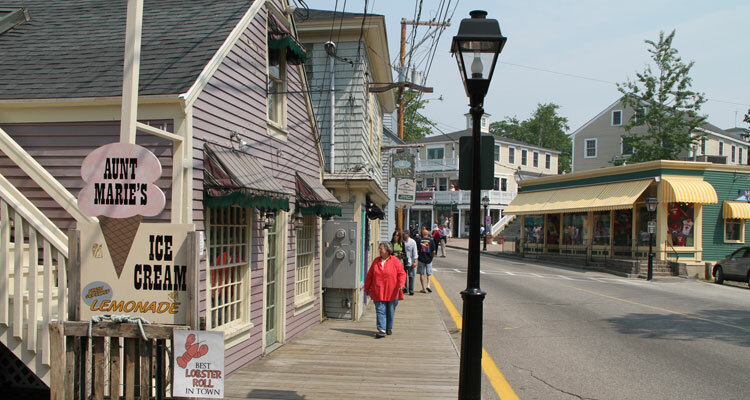 Kennebunkport and Kennebunk Beach Maine are only 1.5 hours north of Boston and 5.5 hours from New York City. Take the Maine Turnpike (I-95) to Kennebunk Exit 25. Go left on 35 and left again on 35 back across the Maine Turnpike. Go about 1 mile and just past the Kennebunk High School you will come to a Rotary. Take your 3rd right out of the rotary staying on Route 35 South. Go another half mile and at the Traffic Light go left onto Route 1 North. Go 100 yards on Route One North and go Right at the First Light and you are back on Route 35 South. Go 3.5 miles and you will come to an intersection with Route 9 at the Sunoco Station and traffic light. 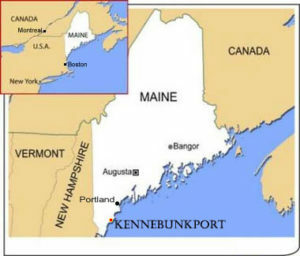 You are now in Kennebunk Lower Village. Go straight for Kennebunk Beach. Go Left for Dock Square and Kennebunkport. Maine Turnpike Authority Web Site with Live Traffic Cams, Traffic Alerts and more.